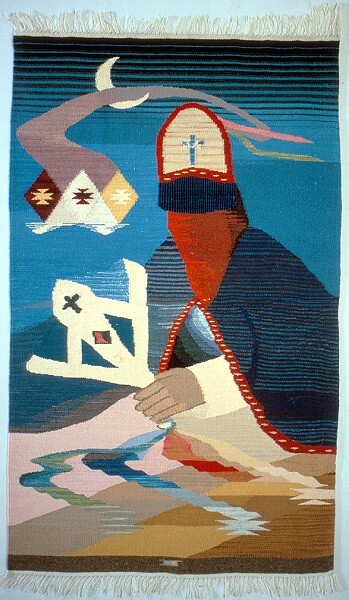 This weaving was produced by Irvin Trujillo of Chimayó, New Mexico. Trujillo (b. 1954) is shown here at one of his treadle looms in his workshop in Chimayó. 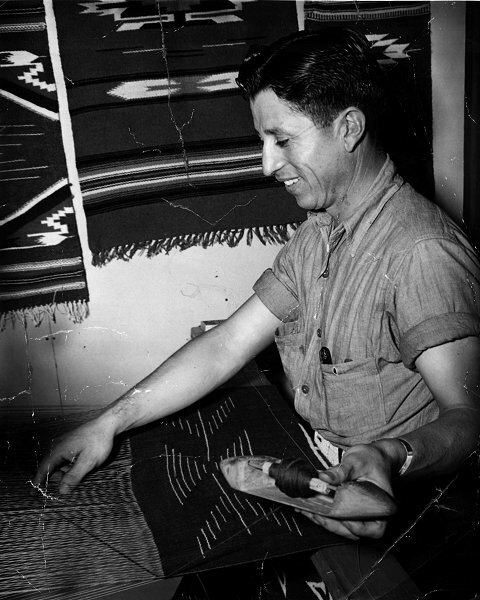 Members of the Trujillo family have been important weavers within the Chimayó tradition for seven generations. 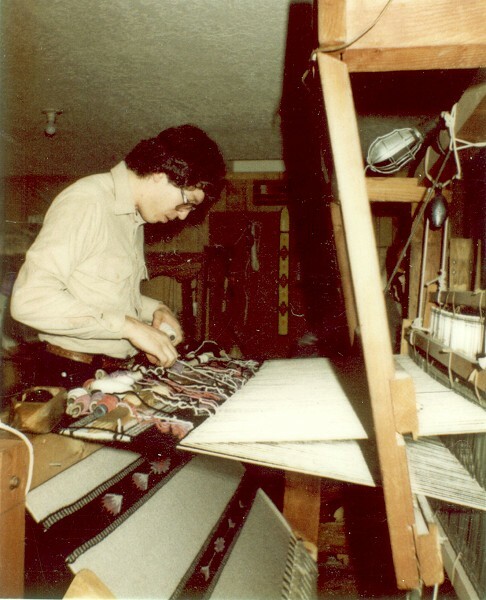 Irvin Trujillo was taught to weave as a child by his father Jacobo "Jake" Trujillo (right).